This letter was written by Alexander Moore Way (1828-1891), the captain of Co. G, 1st New Jersey Volunteers, to his wife Emeline (Serviss) Way (1832-1909). Alexander was the son of George Washington Way (1802-1870) and Margaret Letitia Brokaw (1801-1850). He enlisted as a captain in Company G, of the 1st New Jersey Volunteer Infantry, 1st Brigade, 1st Division of the VI Corps on May 28, 1861. 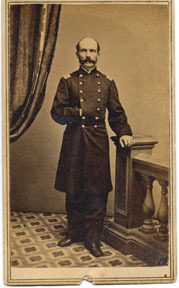 He transfered on July 21, 1863 from Company G to Company S and was promoted to full major when Major Enos Fouratt resigned. He was then brevetted lieutentant colonel on March 13, 1865 for gallant and meritorious services at the battles of Gaines Farm 1863 and Wilderness, Virgina were he was wounded on May 6, 1864. In 1850, Alexander was residing in the New York City household of 56 year-old Isaac Nash — a cabinet maker. It appears that Alexander was apprenticed to Nash, learning the cabinet-maker’s trade. In 1860, Alexander M. Way was employed as a bookkeeper in New Brunswick, New Jersey. He and his wife “Emy” had three children by then: Margaret Letitia Way (b. 1853), William Henry Way (1855-1939), and Mary Estelle Way (1858-1921). Major Alexander M. Way, a veteran of the civil war, died of heart disease at New Brunswick, New Jersey yesterday morning, aged sixty-three years. He leaves a wife and several children. After the war the Major engaged in business at New Brunswick as auctioneer and insurance agent. He was a prominent Mason and Pythian, and was several years Alderman. 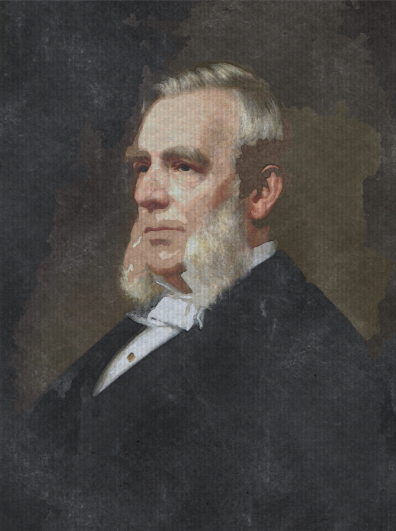 He was a republican, and when the New Brunswick ring was broken up he embezzled several thousand dollars from the Union Building and Loan Association of which he was secretary [and book-keeper], in order to help his friends. When detected he entered no plea and was sent to State Prison. He was pardoned last spring. During the time that Capt. 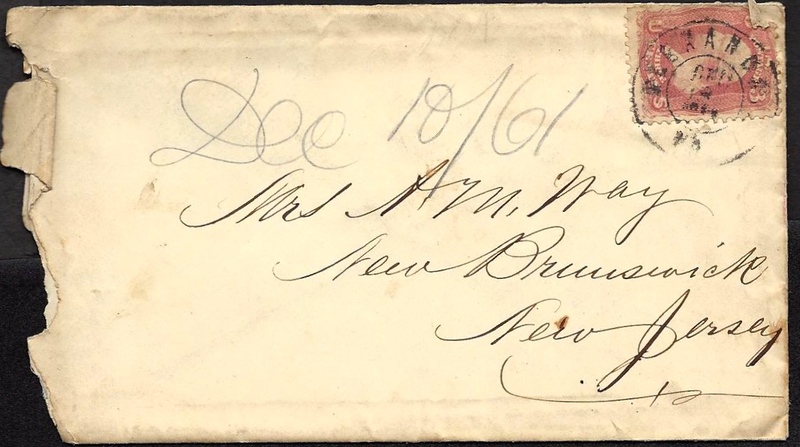 Way wrote this letter in December 1861, he was being visited by someone named Peter from New Brunswick. I could not identify who he was though I suspect he was a young relative. Although I wrote a few lines to you yesterday giving an account of Peter’s safe arrival into camp after being on picket duty for 3 days, it was my intention to write again today and had just finished writing a letter to Mrs. Nelson & the Ladies of New Brunswick thanking them for their kindness to us when who should come into camp but Lieut. [Jacob] Wyckoff ¹ with a kind, affectionate letter from you. He had been detained one day on account of an accident with the cars & did not arrive in camp until this (Sunday) afternoon. It was my intention to have went to Washington yesterday with Peter but an order came from Headquarters prohibiting all passes from the fact that our Division would be reviewed by Gov. [Edwin D.] Morgan of New York and today I am Officer of the Day so as he [Peter] goes away tomorrow, I am afraid I will not be able to go over the [Potomac] River with him. My dear, don’t be afraid of my not taking care of myself. I am now in perfect health. One great cause of it is I have been exceedingly careful of myself not allowing myself to be led astray by the many temptations that surround us on every side. I am well aware that (as you say in your letter) you miss me at home and the children too (God Bless & preserve them to us) miss me when taking a walk or in going to church with them on Sundays. But my dear wife, in future years you will be glad & it will never cause one tear of regret for you to know that you have endured the many sacrifices you have in order that you might say with hundreds of other patriotic women, I at least have the satisfaction of knowing that I threw in my mite into the scales in order that justice might be meted out to those who have insulted that (which next to the God who made them) is most dear to the heart of every American Freeman who loves his country — the Flag we fight under. How I would like to see William in his new boots. I can’t help but think of the mischievous capers of the little scoundrel. If he was old enough to bear arms, I would not own him as a child of mine if he did not step out boldly to the front & sacrifice his life, if need be, if by so doing he could save her from the impending gulf into which those who have taken up arms against her have been endeavoring for years to plunge her into. So with the rest of my dear children, while you are endeavoring to bring them up in the fear of God, at the same time try to instill into there minds a love of country and the land that gave them birth. There is no truth in the story that the New Jersey Cavalry are to be sent home. I saw one of their officers today. The weather has been quite pleasant for the last few days. In fact, it is quite warm. I have tried to make it as pleasant for Peter as I could since he came here. My duties have been such that I could not be with him all the time. We went in the Hospital today to see that orderly sergeant of the secesh army who was shot and taken prisoner the first night we were out on picket. Peter has a button off of his coat. I send you one taken from his overcoat. Peter will explain all about here to you. I send you the feathers off of my hat and some few other things for the children. The portfolio is for Lettie to take to school & keep her papers in. The cup is for Estella. The cannon & fancy trimmings belonging to the hat together with the necktie are for Millie. Say to the children Pa was so situated that he could not get away to buy anything for them or he would have done so. The candies were the only things I could get. They are for the ones whose names you will find upon them. The ‘Carte de Visit’ are poor things so you can throw them away. The fancy picture is for yourself to do with as you may think proper. Peter has gone to church with [Cpl.] John Lawrence. Sgt. [Peter I.] Duncan [1829-1879], who has just got a furlough to go home for 7 days, intends to start tomorrow & as Peter is going at the same time, he will have company. They will leave camp early tomorrow morning in order to have some time in Washington. The letter to Mrs. Nelson I have left unsealed in order that you might read it previous to Peter taking it to her. The reason I send it to her is simply because she is the chief manager of the Ladies Aid Society at New Brunswick. N. B. When I write to you I do not take half the pains I should. I fly ahead not thinking that it is almost impossible for anyone to read my writing when it gets cold. I thought in the letter I wrote to Mrs. Nelson I should take a little pains knowing that it might be criticized by those who might come in contact with it. But it was no use. Before I got through, I was on the same 2.40 gait. Write soon my dear. No more. My paper is used up. 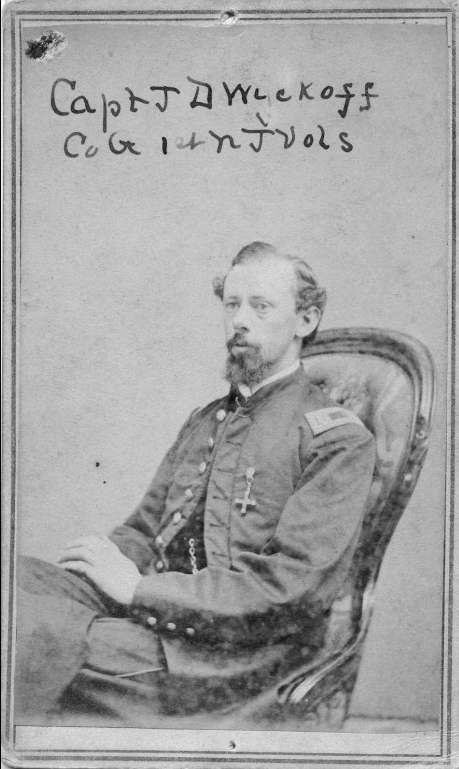 ¹ Jacob D. Wyckoff became 2nd Lieutenant of Co. G, 1st NJV on June 7, 1861, and 1st Lieutenant on Aug 12, 1862. 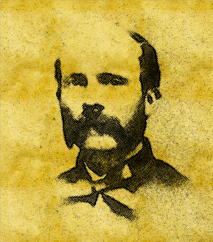 The promotion of the company’s Captain, Alexander M. Way, led to his own promotion to that rank on September 1st, 1863. He was killed in action at Spottsylvania Courthouse, Va., May 12, 1864. This entry was posted on Sunday, August 10th, 2014 at 10:39 am	and posted in Uncategorized. You can follow any responses to this entry through the RSS 2.0 feed. Received the following message from Robin S. Way: Thank you for publishing this letter. Alexander M. Way was my great-great-grandfather. His son, Frederick from whom I am descended, was not yet born at the time of this letter. (Had the bullet that hit him over the right eye at the Battle of the Wilderness been at a slightly different angle or speed, yours truly would not be here!) I have a couple of old pictures of “Emy” taken in her very old age. I also have one of Alexander’s swords and his belt and buckle. Very interesting to read, thanks. The letter in paragraph three I believe states “I am now in perfect health” rather than “not in perfect health” as in the transcript. Thank-you.